One Banana, the socially responsible and environmentally sustainable production specialist, has announced that it has received Sustainably Grown certification at several of itsfarms in Guatemala and Ecuador. The certification was issued by SCS Global Services (SCS) in accordance with the producer requirements of its Sustainably Grown standard. 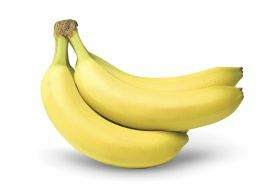 One Banana underwent a comprehensive independent evaluation to obtain what is considered one of the most rigorous voluntary agricultural certifications to achieve. The certified farms were assessed on a variety of factors including product quality, product safety and purity, fair labour practices, sustainable crop production, ecosystem management and protection, resource conservation and integrated waste management. “We are honoured to have been granted SCS’ Sustainably Grown certificate as it is just further evidence that we are committed to doing our part to promote the environment, ensure the security and safety of our employees, and grow the freshest bananas” said Bernhard Roehrs, corporate director for One Banana. "The public now has every assurance that the certified bananas they buy from us are truly sustainable from plant to store." Among the many benefits of being Sustainably Grown certified, One Banana is able to satisfy certain retailer and manufacturer specifications, share in information gathering and resources for reducing energy, water and packaging costs, and help maintain employee satisfaction.